"Welcome back Jane" was the greeting when the All Out Africa drivers met our group at Johannesburg airport. This was to be my third trip to the Kingdom of Swaziland, one of Africa's smallest countries, so I knew what the drive would have in store. 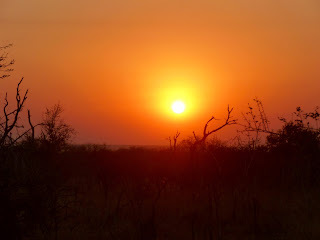 We drove out of the city on a modern motorway, and were soon heading east over the plains; not the most stunning drive, but our stop at a service area made up for it, as it is also a farm and gave us our first sight of African animals such as water buffalo and ostrich. Leaving the motorway, the scenery becomes more interesting; Swaziland is surrounded by upland, or highveld as it is known in Africa. The western border with South Africa is particularly interesting, and would be the focus of our wilderness trek the following week. Border formalities done with, and our driver was noticeably happy - "welcome to Swaziland" he beamed - really proud to show off his country! A short drive and we arrived at our first nights camp, but not before making a short stop for provisions. We were in the Malkerns valley, the heartland of Swazi tourism, so the supermarket was modern and well stocked; familiar brands with a local flavour! This was a camping trip, and our base was run by All Our Africa who have both a tour business and support a range of charitable projects. The campsite was in a lovely setting, with good facilities, and we were soon relaxing watching the sun go down on our first night in Africa. The next morning we were to have an introductory talk from our hosts, then move on. I asked our driver if we could shop at a nearby market, rather than just buying supermarket food; this proved to be a great experience, negotiating prices for small sacks of fruit and vegetables and admiring the array of handmade tin chicken feeders! 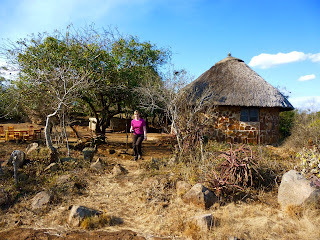 Our drive continued towards the east, where we would be spending a few days at Shewula mountain camp. Shewula is community tourism project amongst the 500m Lubombo mountains, where you can walk, share in the life of the community and its health or childcare projects. We were to work at a primary school, but while there met a number of Dutch visitors who really enjoyed the walking tour and hospitality from the ladies of the community. The appeal to me of Shewula was being able to walk amongst a rural community, watching life go on, have conversations and generally see a bit of the real Africa - no tourist bright lights here, in fact limited electricity, a variable mobile phone signal and no internet, but in the words of a recent visitor "beautiful place with amazing surroundings. Stars clearly seen at night from a lovely little round hut that you would be sleeping in. The staff are more like family, very friendly and loving and the food that they cook is beyond heavenly! Not for 'Hilton hotel only lovers' this is the perfect getaway for someone who doesn't mind being away from all the hustle and bustle of fast paced life." Onwards, as our time was limited we left Shewula for Hlane Game Reserve. Described as a "Royal Park" little did we know that the Swazi king was also due to visit! We arrived at Hlane just in time for lunch, and a brief look around before joining the sunset game drive - sunset is around 5:30 in winter. The drive takes place in covered jeeps, and I commented to our driver that the old vehicles from my previous visit had been replaced - yes, he replied, just this week! 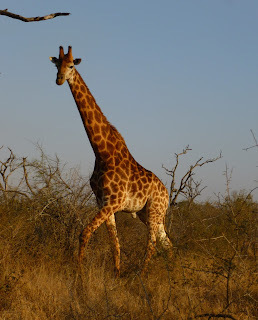 The game drive was great, with probably the highlight being a tall elegant giraffe and its baby, walking into the setting sun. That evening we were treated to a brilliant display of traditional dancing, with optional audience participation! Up early the next morning for a second game drive, during which we got really close to a group of lions, and some elephant, as well as wildebeest, impala and warthogs. As we returned to the camp, it became obvious that something was happening; I asked the staff, and was told that the King was arriving that afternoon. Prior to being open to the public, the 30,000 acre site was a royal hunting ground, and King Muswati still visits each year. Sure enough after a much increased military and police presence, the royal cavalcade arrived - something for us all to write a blog about! Our final destination was back west to Malolojta Nature Reserve - over 4,000 acres of mountain wilderness, and a conservation area. Here we were to enjoy the African bush in it's raw state, but first a bit of adventure in the form of a jeep drive and 'canopy tour' zigzagging across a ravine on zip wires! I was nominated to go first and take the photos, as we zipped through the stunning scenery! Then rucksacks donned we headed along waymarked trails to the river and our first night of wild camping. After 3 visits to Malolotja, my favourite place is still the potholes - giant pools scoured out of the Rock and fed by a lovely waterfall. Here we relaxed, the intrepid members of the group had a cold swim, and that evening watched baboons climbing the rocks above, then reminisced about the trip which was drawing to a close. 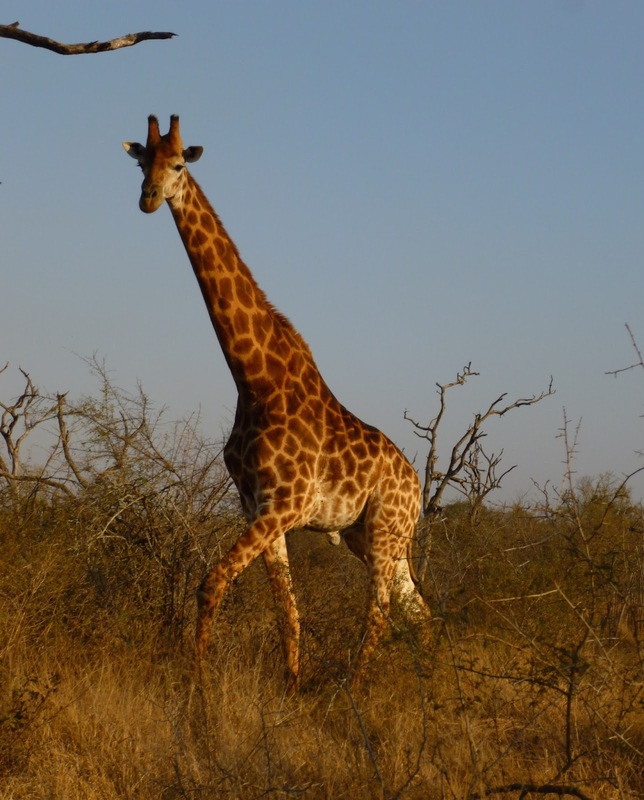 Swaziland is a small country, but a great and varied destination for the visitor. 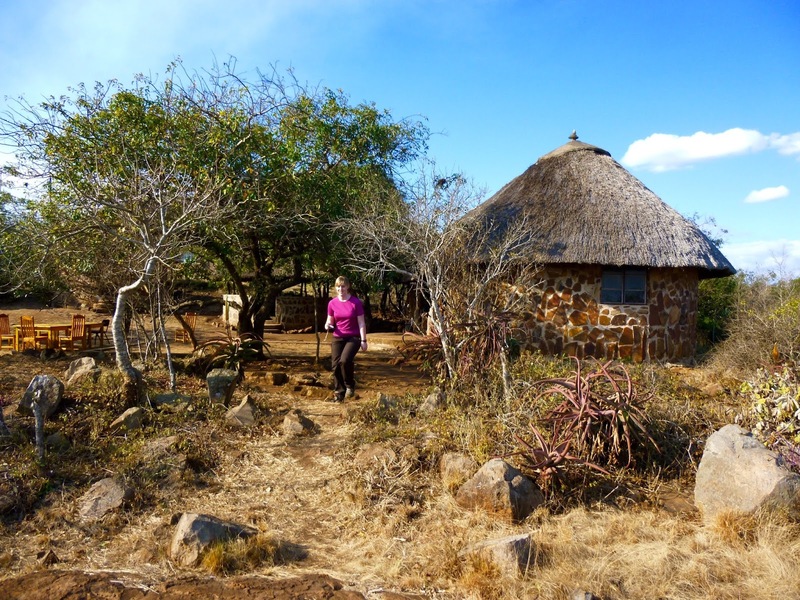 We are hosting our own Swaziland Adventure in 2016, a walking holiday with a range of walks, including the 2 day wild camping and canopy tour in Malolotja; see our Mountain Walking Holidays website for the details. Mt. Olympus is the highest mountain in Greece. 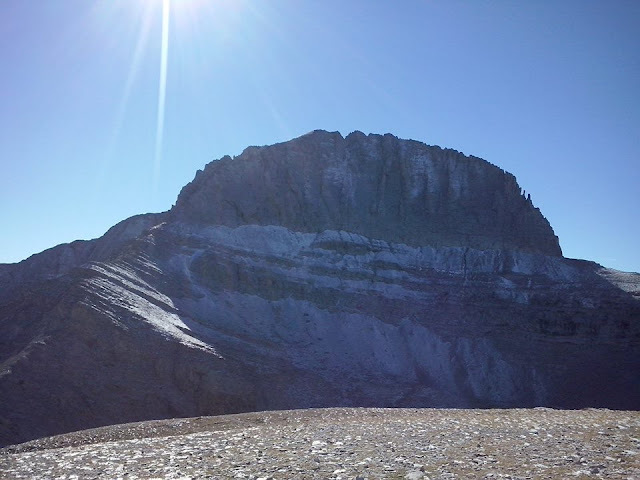 It has three summits: Mitikas 2918m; Skala 2866m; and Skolio 2905m. Mitikas involves some easy but exposed rock scrambling, so most walkers ascend Skala 2866m which is nearest to “Hut A” the nearest mountain refuge. Although Skolio 2905m is only a short walk further than Skala, it is not so often ascended. The ancient Greeks believed that Zeus had his throne on the highest peak, Mytikas which was also home to the other 12 Olympians (Greek Gods). 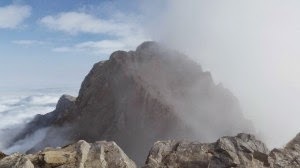 Climbing Mount Olympus is a non-technical hike, except for the final section to the summit of Mytikas peak, which is a grade 1 or 2 scramble depending on the route taken. Mountain House Holidays have recently (September 2015) returned from running their first trip to Mt Olympus where everyone ascended Skala. Unfortunately it was a day spent in the mist and drizzle and the Guardian of “Hut C” where we spent the night before our summit attempt advised us that Mitikas should not be attempted in wet conditions as limestone is notoriously slippery in the wet. None the less a very successful trip made all the better by the helpful Greek people who were all keen to ensure that we had the best possible time. Next year (2016) we are including Mt. Olympus back on our itinerary though we will be going a month earlier when we are assured that the weather is better! We meet you at Thessaloniki Airport and transport you Litochoro, where we will stay in guesthouse accommodation. 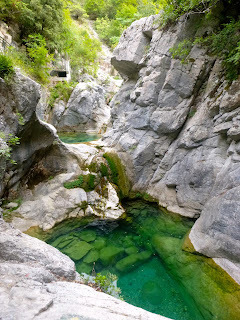 If there is time in the early evening we can have a short walk in the Enipeas Gorge. An early start taking a taxi to a high road head where we walk high into the mountains, initially through ancient forest. We continue steeply up the mountainside to reach a mountain hut at around 2600m on the spectacular “Plateau of The Muses” where we will spend the night. The refuge has dormitory accommodation, blankets and pillows, but you will need to carry a sheet sleeping bag and sandles or trainers. An early start will enable us to make a traverse of the mountain. For those who want to make the short scramble, Mytikas 2918m is a possibility. We will then continue for the non scramblers to Skala 2866m and possibly Skolio 2905m before descending to Hut A for a second night on the mountain. We continue our descent off the mountain and reach a high road head in around 3 hours. We then descend through the spectacular Enipeas Gorge to return to Litochoro and a well earned celebratory meal. Mountain House Holidays is jointly owned and managed by Jane Livingstone and Michael Hunt. Both Jane and Michael are qualified International Mountain Leaders. Dramatic mountain scenery, warm settled climate, a myriad of ancient trails, Spain, with just a touch of Africa! 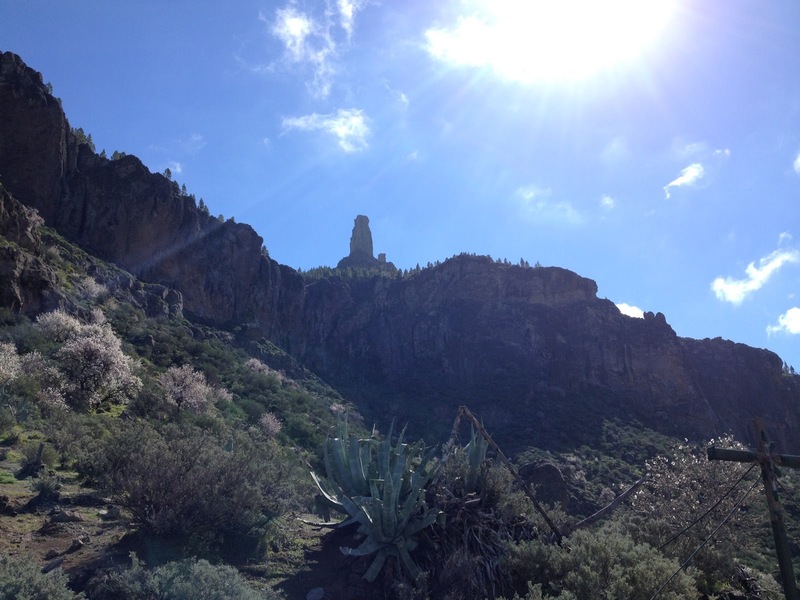 These are just a few of the highlights of our trip to Gran Canaria in February 2015. We were aiming for a week relaxing in the sun, but not really being beach people, the hills and mountains beconned from the very start, and we were soon driving towards the mountainous centre of the island, with increasingly dramatic scenery. Gran Canaria is part of Spain, so our moderate Spanish was useful, though not quite the same as southern Spain, as we discovered when trying to order our usual 'tostada con tomate' only to find that toast was not usually eaten for breakfast, nor tomato and olive oil readily available! However we saw lots of tomatoes growing near the coast, together with banana, mango and avocado plantations, some rather weird cacti, stunning bougainvillea and almond blossom. Back to the walking; many of the trails we walked were old Camino Reales - ancient trails, with a similar status to the English rights of way, which are gradually being restored and waymarked for walkers. Although there are coastal walks, the best routes we found were in the centre of the island, where the scenery is varied and often dramatic. We found ourselves walking through forest, hillsides covered in pink almond blossom, rocky, almost lunar Landscape, and lush green valleys; indeed a 'continent in miniature' as the island is sometimes described. 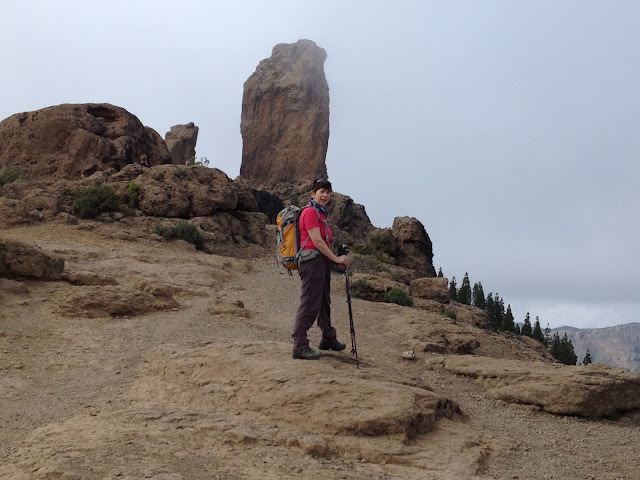 Probably our best walk took us to the summit of Pico de Las Nieves - no snow to be seen, indeed sadly not a lot to be seen the day we were there, as the final 100m was shrouded in mist! 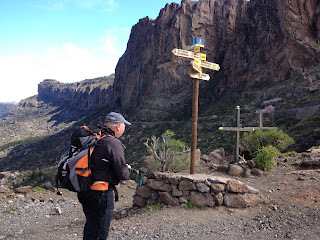 However it was a great walk, with a wonderful descent through spectacular terrain. We did have a couple of days exploring and particularly enjoyed wandering We around the fishing boats of Puerto Morgan, and dramatic drive northwest from the pretty village of All in all a good trip, with lots more walking to be done. 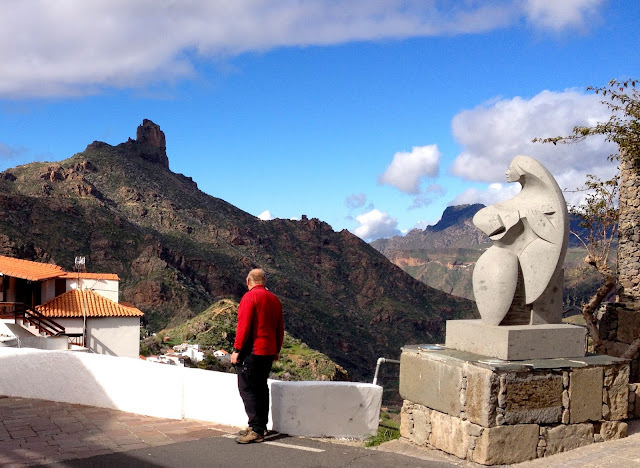 We are already planning a return trip to lead a guided walking holiday on Gran Canaria in 2016 - everyone deserves a break from the British winter! So why not join us. Mt Olympus 2918m is the highest mountain in Greece. Although Olympus is a name familiar to everyone in the western world, very few know much about this mountain and even fewer have climbed this rocky peak. 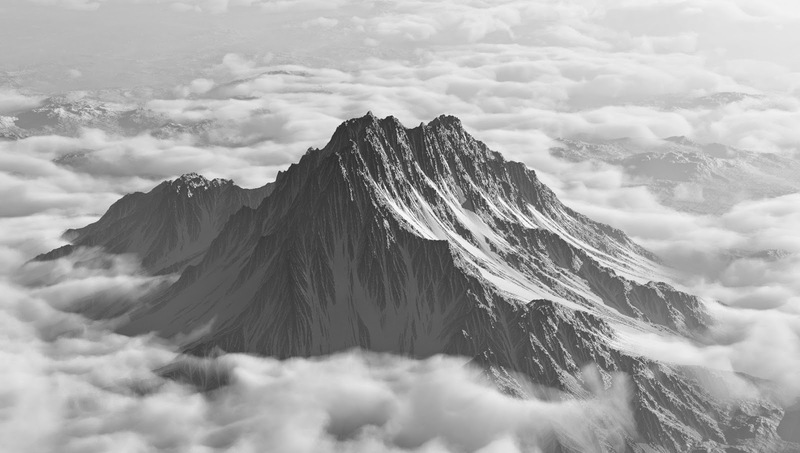 Mt Olympus, Home of The Gods! 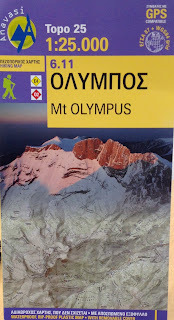 British based walking holiday company, Mountain Walking Holidays are now pleased to announce that they are including a walking trip to climb Mt Olympus in their programme for 2015. Snow covers Olympus from November until late May making the exposed upper section tricky to cross. The rocky summit continues to delight everyone who makes the ascent as it did the ancient gods. We meet at Thessaloniki airport, drive to Litochoro, where we will stay in guesthouse accommodation. 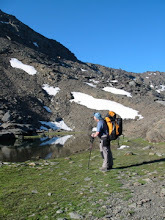 The following day we walk high into the mountains, initially through ancient forest. We continue steeply up the mountainside to reach the spectacular Muses plateau, where we will spend the night. The refuge has dormitory accommodation, blankets and pillows, but you will need to carry a sheet sleeping bag and slippers or flip-flops. 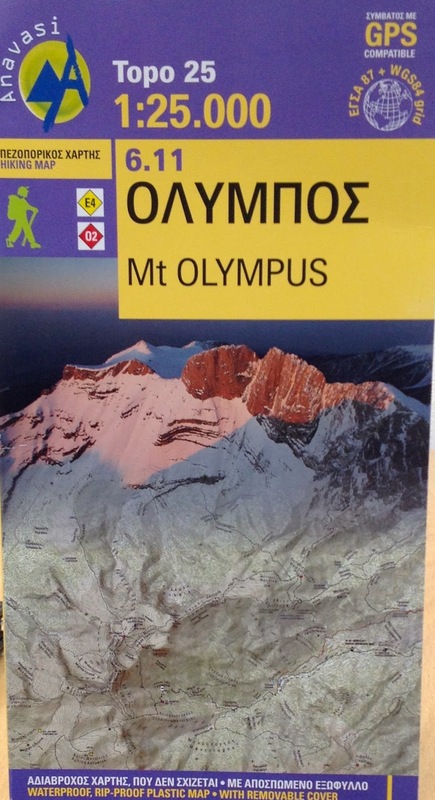 An early start will enable us to make a traverse of the mountain to reach Mytikas, the summit of Olympus at 2901m. This part of the climb can be difficult, involving some scrambling, so you will need a head for heights. If time and conditions allow, we will continue on to scale Skala at 2866m before making our descent down to one of the lower refuges. The final day we walk through the spectacular Enipeas Gorge to return to Litochoro and a well earned celebratory meal. The Olympus National park has been recognised as an “area of international importance for the environment of mankind”. It is dedicated to the protection of the natural habitat of plant and animal wildlife. You may spot wild animals such as goats, deer or the wild boar and eagles, or vultures. The slopes are particularly well known for their plants, which attract lots of butterflies. Temperatures in the mountains can be very variable, ranging from hot sun to wind and rain. The proximity to the sea give Mount Olympus a it is a Mediterranean climate, i.e. hot and dry in summer, but the mountain gets lots of rain and wind, so you will need to be prepared. Daytime temperatures are likely to be in the low 20’s centigrade. Sun screen and hats are essential as is windproof and waterproof clothing. Mountain Walking Holidays are run by Jane Livingstone and Michael Hunt, both qualified as International Mountain Leaders. 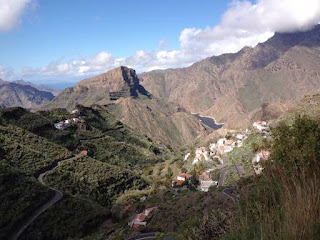 Details of this Holiday and how to book are on the Mountain Walking Holidays website. Why Use a Qualified Guide in The Mountains? Why Use a Qualified Guide in The Mountains outside the U.K.? The only British qualifications valid for taking people into the mountains outside the U.K. are either the International Mountain Leader (IML) or the Mountain Guide (IFMGA). Those holding these qualifications are members of professional associations who issue their guides carnets to operate on an annual basis. ii. BAIML British Association of International Mountain Leaders. IFMGA Guides can operate on terrain where the use of ropes and technical mountaineering will be necessary. IML’s operate on terrain where ropes and technical equipment are not routinely required, though are trained in their use (just in case). IML’s have to be able to demonstrate that their skills are current through CPD training and hold a current wilderness 1st aid certificate along with appropriate liability insurance. At the point of renewing my carnet on January 1st this year, I was asked to demonstrate that I had enough current and relevant training. This I duly did and “passed muster.” My carnet has been reissued allowing me to continuepractising as an IML. Teaching Hill and Mountain Skills. All of this CPD is in addition to the rigorous training and assessment both summer and winter to obtain the qualification in the first place. The one thing that I am confident in saying is that you not only get a qualified guide when you hire an IML, but you get someone who is “current” and the added value bought with the volume of CPD opportunities. By hiring an International Mountain Leader to guide you in the mountains not only should you be safe, but the level of environmental interpretation should be 1st Class. Working overseas for much of the year, mainly in Spain, I am amazed at the increasing number of Brits who set up walking businesses, call themselves guides and proceed to operate illegally (as unlike the U.K., you need to hold a qualification to lead people for money in Spain). Unfortunately it will take a fatality before these people are investigated. So there you have it! 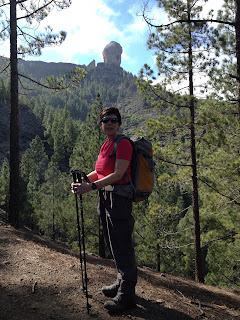 When booking your walking holidays in the hills or mountains ask if your guide will be qualified (and insured). A qualified guidecarries a “carnet” and their website and advertising should display the correct logo.